Opened at the end of July, Duo Bar & Restaurant is a venue that invites you to accompany them during their transformation. Unlike most establishments that open after their fitouts are complete, the owners at Duo Bar & Restaurant still maintains a vision for their cafe that is yet to be realised. The cafe name is a reference to the split concepts that the outdoor seating area has in comparison to the indoor area. The outdoor seating area, furnished with patio chairs to recline and relax while you sip on your tea or Bear Bones coffee, is a strong contrast with the indoor area- a more sassy space with dark walls and a ceiling garden feature. Hanging light bulbs emanate soft, warm lighting to give the right amount of mystery, but expect the walls to be eventually plastered with hip graffiti. While waiting on a quiet Sunday lunch service, the kitchen bustle was audible and with a glance through the kitchen doors, a flash of flames could be seen on the stove; resembling a scene out of Masterchef or one of the ever-popular cooking shows that grace our screens. 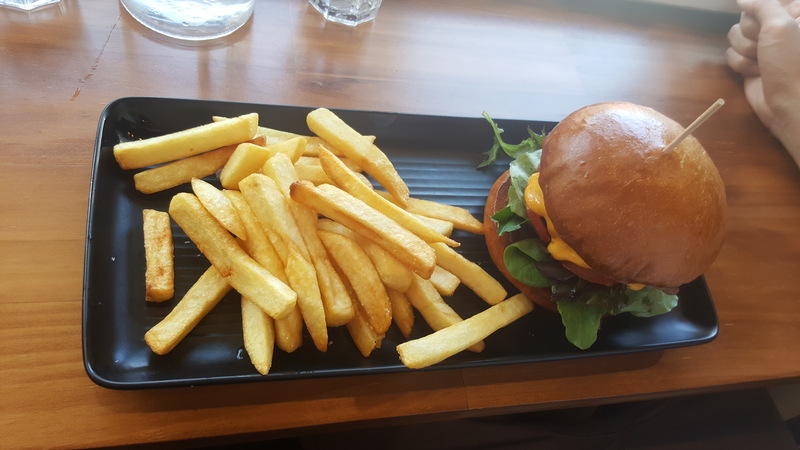 The food that arrived also felt like it could have been a dish out of the Masterchef kitchen. 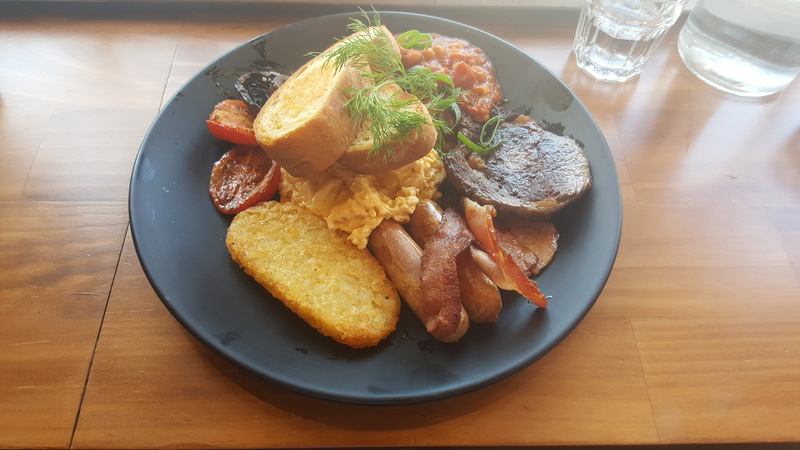 Duo Bar & Restaurant serves all day breakfast so I was able to order the lovely Duo Breakfast Specialty-mushroom, roasted tomatoes, a hash brown, sausages, my choice of eggs, scrumptiously prepared baked beans, two slices of buttery ciabatta bread, bacon, and for an extra $3.50, a rib fillet. It was definitely filling and I was stuffed as you could have guessed, yet the way my companion devoured his beef burger almost tempted me to ask for a bite. The toastedÂ brioche bun, beef patty, mustard, pickles, tomatoes, lettuce, cheese, and a side of hot chips looked pretty tempting. Duo Bar & Restaurant, with their liquor license, will soon extend trading hours to include a dinner service as well, but in the mean time it’s the perfect location to destroy a burger and chart the evolution of the space.